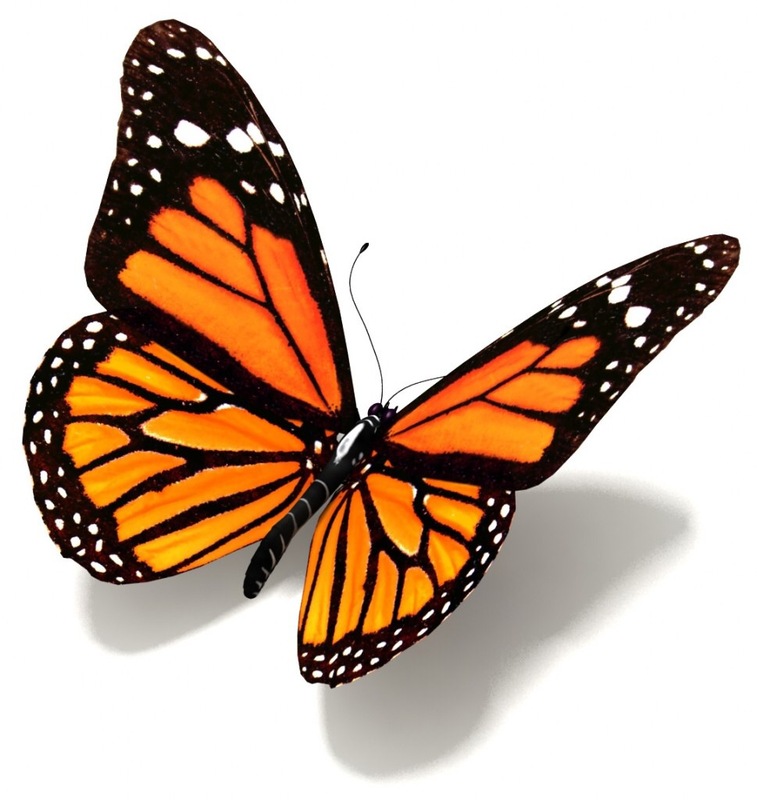 A butterfly is a flying insect and the probably the most popular bug. They don’t cause destruction or mayhem, and they don’t sting or bite. They fly around looking pretty and posing for pictures amongst flowers. Some people call them flutterbys, which is a more apt description of them. Butterflies are a common metaphor for changes and personal growth in stories and mythology because they begin life as a lowly caterpillar, then they wrap themselves up in a cocoon, go into metamorphosis, and emerge as a beautiful butterfly. Then most of the time they get eaten by birds, but a few of them live long enough to prolong the circle of life. There’s all sorts of butterfly species, but the Monarch is the most regal.